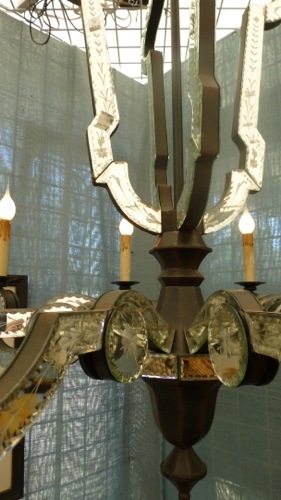 Mirrored Tosca Venetian Glass Chandelier from Currey & Co.
Architecturally inspired Tosca chandelier from Currey & Company. 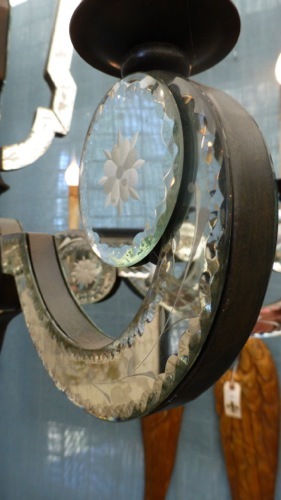 Handcrafted of iron, metal and finely etched and antiqued mirror in the classic way of the Venetian craft. 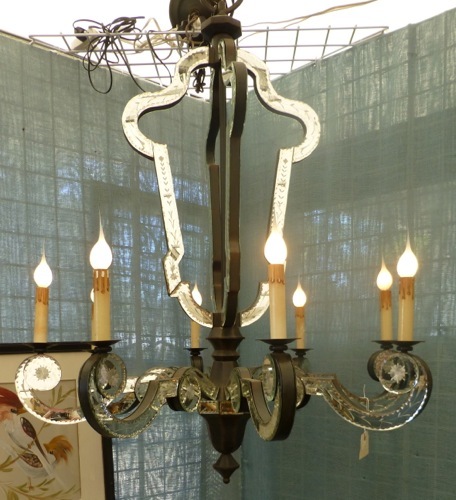 Beautiful proportions enhanced with the magic of Venetian Mirror make this a most elegant chandelier. Measures 30" diameter, 36 inches tall has a 3 foot iron chain and ceiling canopy included. Candle drip sleeves, uses 8, 25 watt chandlier bulbs.